Finding yourself in need of an automotive key specialist is not usually fun. However, there are ways to avoid certain incidents, whether you locked your keys in the car, have a broken key inside of a lock, or another auto key problem. If you do happen to run in to an auto key or lock related issue, or you can foresee one in the future, you will want to seek out a solution as quickly as possible. Unfortunately, it can sometimes take hours for a car locksmith to arrive on the scene and provide you with a solution. Instead of getting caught unprepared, it is best to address problems before they arise as well as keep a reliable auto locksmith on speed dial. Over the last decade, we have seen all kinds of situations that require a locksmith. We would like to offer the following advice to help you manage a lock emergency on your own. Failing this advice, you can always call on us here at The Key Guy Mobile Locksmith and take advantage of our fast and affordable auto locksmith services. We can easily help with any type of vehicle lockout regardless of the age of the vehicle or key type. You will also find that we have some of the more reliable and professional residential and auto locksmith services in Stockton, Tracy, Manteca, and other nearby communities. Just keep our number in your cell phone and we will be more than happy to help you deal with any home or automobile lockout emergency. Don’t every worry about locking your keys in your car or house again; know that you have a reliable home and car locksmith at your disposal. At The Key Guy Mobile Locksmith, we have the experience and equipment to deal with a wide variety of locksmith needs that other Stockton locksmiths simply aren’t able to handle, including transponder chip key reprogramming, high-security lock installation, and more. If you’re ever in need of superior locksmith services in San Joaquin County, one call can get you all the help you need. 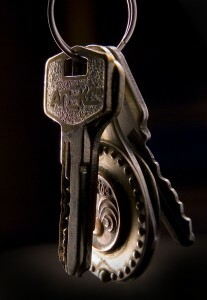 Turn to The Key Guy Mobile Locksmith and feel confident that your property is in the hands of professionals.